Prevention United is delighted to be part of WorkSafe Victoria’s WorkWell initiative to promote and protect the mental wellbeing of Victorian workers. Working with our partners at Federation University Australia and Ballarat Health Services, including Professor Britt Klein and Dr Lisa Clinnick, over the next two years we will support the mental wellbeing of frontline residential aged care workers. The Wellbeing Track and Change project involves the co-design, implementation and evaluation of a digital monitoring and decision support system that aims to maintain a mentally healthy work environment. The digital system and supporting resources will be developed in close consultation with staff and management working in BHS’s 10 residential aged care facilities, ensuring that the system is fit for purpose. 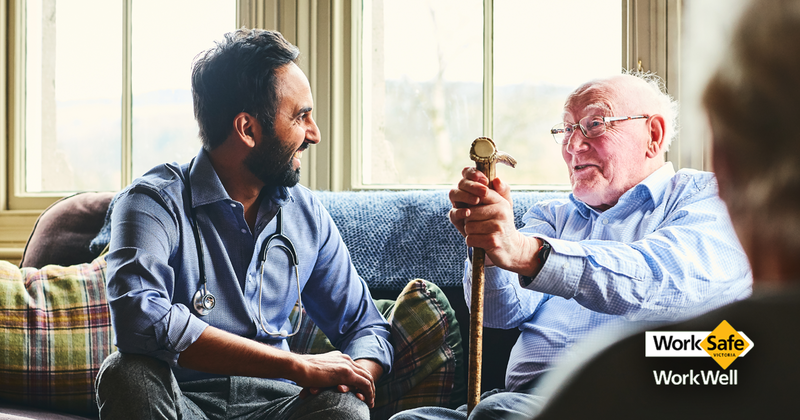 Protecting the mental wellbeing of this dedicated frontline workforce will help them continue to provide high-quality care to the vulnerable elderly residents they support. We believe this innovative project will have positive and lasting effects within Ballarat Health Services and could potentially be scaled-up across the aged care sector, and even more broadly as a model for how to promote the mental wellbeing of workers in other industries.